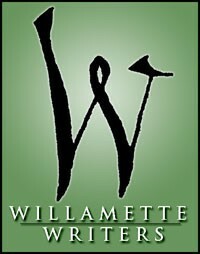 Young Willamette Writers welcomes Dave Jarecki as our Janu ary speaker. Dave Jarecki owns Breakerboy Communications, a writing firm that focuses on helping individuals, businesses and community organizations write and communicate their stories. In addition, Jarecki facilitates youth and adult writing workshops throughout the Greater Portland area, and is an adjunct fellow at the Attic Institute. His writing has appeared in a number of online and print publications, including Reed Magazine, Cloudbank Literary Magazine, Oregon Poetic Voices and Rattle (forthcoming/summer 2012). He lives in Portland with his wife, Courtney, the couple’s daughter, Lazadae, two hounds and three chickens. We will be spending a fun and rewarding hour with Dave as we write and explore poetry. See you there!